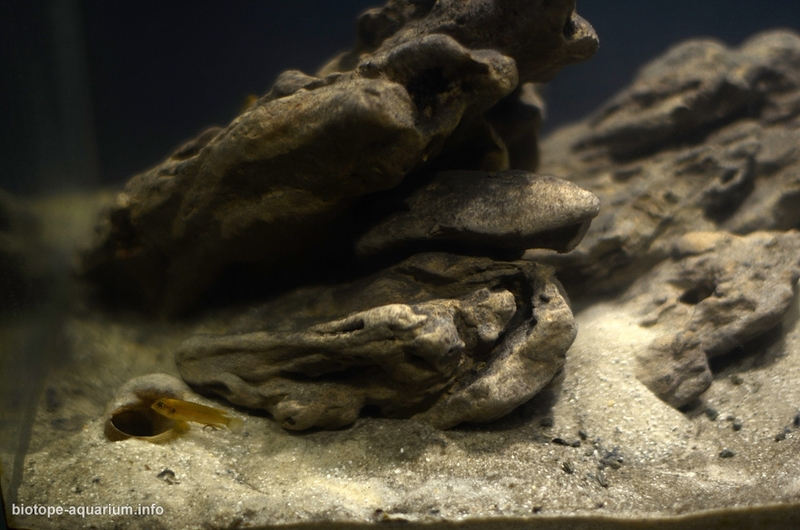 Description of decorations: Fine sand and texture stones, which contribute to increased hardness and create additional shelters, as well as zone the space of the aquarium. 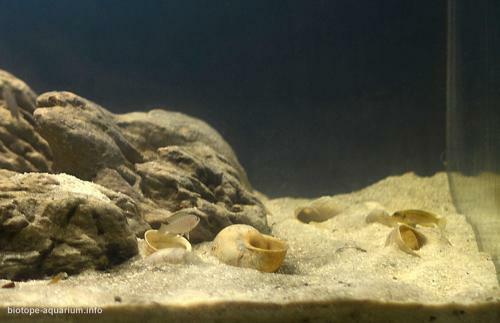 In addition, shells of grape snails, comparable in shape and size to the original Neothauma shells, are scattered along the bottom in sufficient quantities. 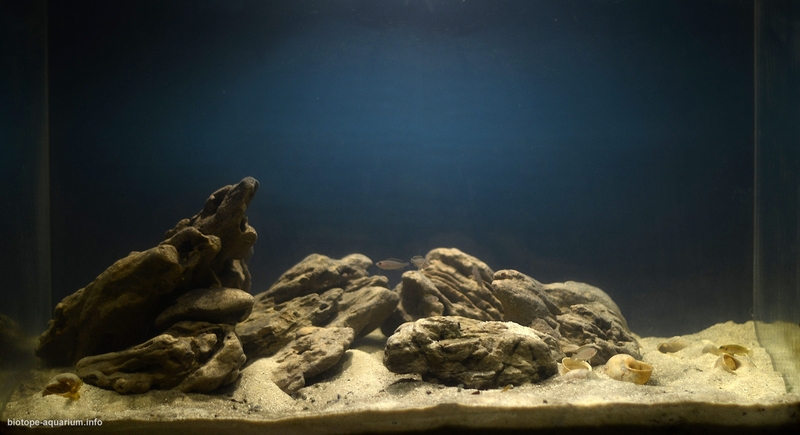 This work simulates a sandbank with a small amount of stones. Description of equipment: Internal filter AquaEl 500 l/h, LED lamp 2.5W, 6500K, heater 100W. Water parameters: Temperature is 25°C, pH is 8, GH is 10-12. Description of the area surrounding the biotope: Tanganyika is a large lake in Central Africa. It is the longest freshwater lake in the world and one of the deepest lakes of the planet and ancient by origin. In terms of volume and depth, Tanganyika ranks second after Lake Baikal among the lakes of the world. 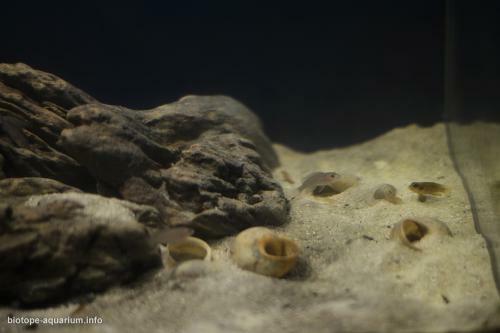 Due to its isolation from other aquatic systems, there are many endemic species in Lake Tanganyika. Currently, because of the human activities it is being polluted. Description of the underwater landscape of the biotope: Sandbar in the Gulf of Ndola. At shallow depths, only the shells of Neothauma snails, as well as small stones, can be found as shelters. 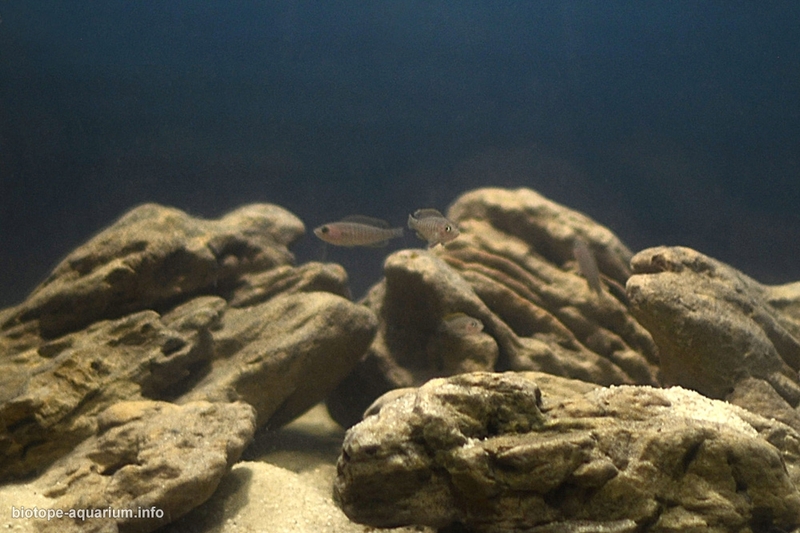 These conditions are ideal for dwarf shell cichlids. Description of the parameters of the habitat: The water is clear. The temperature is 24-27°C, pH is 8-9.5, GH is 8-15. 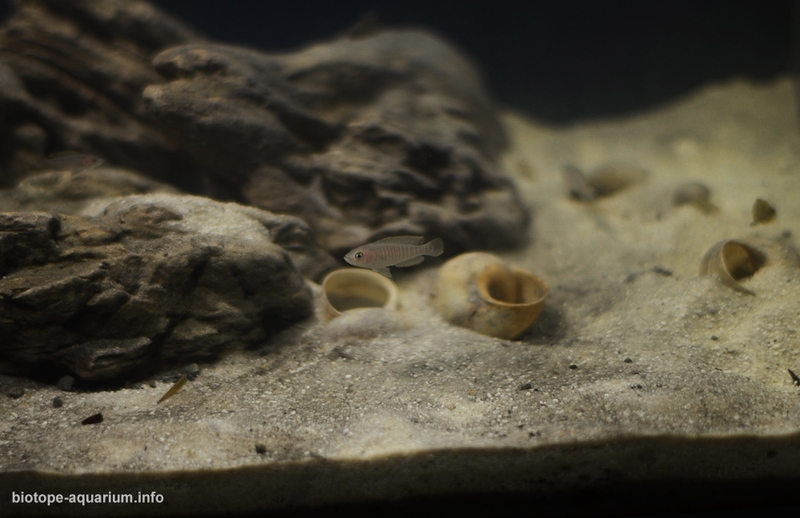 List of fishes and invertebrates occurring in the nature biotope: Lamprologus ocellatus, Neolamprologus multifasciatus. Konings A (2001) Malawi cichlids in their natural habitat Cichlid Press, USA.